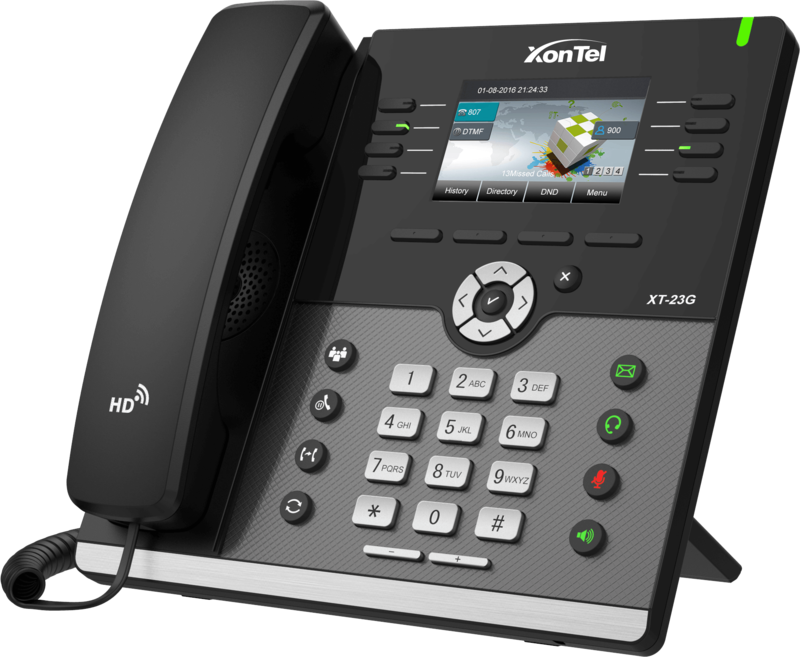 XonTel, a leading provider of VoIP and Unified Communications solutions, are pleased to announce the latest XonTel phone XT-23G, With options Gigabit phones, HD, and color display, XonTel providers with XT-23G choice that meet the diverse needs of Enterprise and SMB customers. The XT-23G is an innovative Gigabit Color IP Phone optimized for executive use for major decision makers, administrative assistants and those working with bandwidth-intensive application on collocated PCs. The programmable keys can be configured as IP PBX features such as BLF, SCA, Intercom, Call Pickup, Call Park and many other features. The high-resolution TFT-LCD and HD Voice bring you the lifelike visuals and voice clarity.